Farmer Ted’s Farmhouse Cream Ale aims to replicate an early American ale from the Appalachian region, home of North Carolina’s Catawba Valley Brewing Company. To that end it’s a cream ale based on wheat and corn, but with a pleasantly heavy body that you don’t tend to find in beers with such a light flavor profile. The nose is toasty malted grain, and the middle is heavily wheat, with some sweetness from the corn. The finish is mildly sweet as well with a bit of chewy breadiness. This is a nice clean ale, and definitely one to try for someone who doesn’t care for bitterness. It isn’t a light as a summer thirst-quencher, but it’s the next best thing. This entry was posted in Reviews and tagged Cream Ale, North Carolina on May 31, 2013 by Xander. 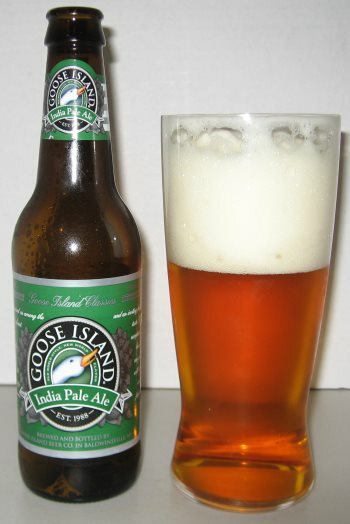 The Goose Island Beer Company lost their craft brewers cred when they sold out to Anheuser-Busch a few years ago, but as far as I can tell, it hasn’t affected their beer and that’s all I care about. This is a classic American IPA with hoppy, sawdust scented nose. The body is medium weight, which is a pleasant surprise for a fairly low alcohol beer (only 5.9% ABV) and the middle has a lot of sweet orange, with some bitter rind undertones. There’s some roasty malt in the finish, which is the only place you really get much bitterness, and it’s quite nice. Any feelings about the new owners aside, this is a really well done IPA, and I enjoy it immensely. This entry was posted in Reviews and tagged American IPA, IPA on May 24, 2013 by Xander. 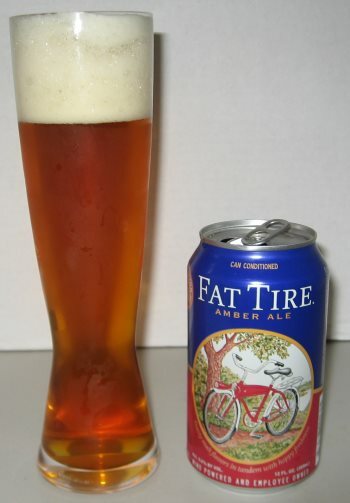 Possibly one of the most well known craft beers in all of the United States is New Belgium’s Fat Tire Amber Ale. It’s been available in bottles for many years, but its recently been released in cans as well, and this new format has finally induced me to produce a long overdue review. This may be the first craft beer I ever tried, (certainly one of the first) so I have a bit of a sentimental attachment to this beer. The nose is toasty and not particularly strong. The middle has some thin roasty malt, and some spice from the hops, and is a bit watery, to be perfectly honest. The body is light, and the finish is similar to the middle, but the spice comes to the forefront. Overall it’s a reasonable beer, clearly popular with the masses, and a decent standby when there’s not a lot of choice. I give it a 3 out of 5. This entry was posted in Reviews and tagged Amber Ale, New Belgium on May 21, 2013 by Xander. 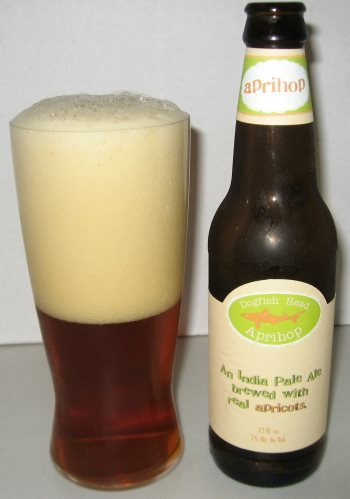 Aprihop is another unusual beer from the off-centered folks from Delaware’s Dogfish Head Craft Brewery. This beer is an apricot flavored IPA and is the beer that I’ve chosen to wrap up the spring seasonals this year. I’d describe the nose as clean, with strong grassy notes and grapefruit. The middle is almost tropical with apricot, mango, more grapefruit, and a bit of earth. The finish is dry on the tongue, with citrus acid on the palate and pleasantly balanced. There’s just a bit of pine in the finish, but it adds more to the flavor than to bitterness. This isn’t a bitter beer at all, though it does tick the right boxes for an IPA in every other sense, and I think the lack of bitterness is more a testament to how well balanced this beer is than anything else. This is a really nice, refreshing drink, and after a glass of this, I’m lamenting the fact that spring is over. This entry was posted in Reviews and tagged Dogfish Head, Fruit Beer, IPA on May 17, 2013 by Xander. 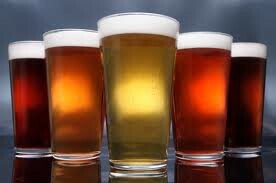 Research scientists in Australia have engineered barley that can be used to brew beer that can’t turn skunky. They’ve managed to remove the enzymes that cause the odors and tastes responsible. We’ll have to wait and see if it has any other effects, positive or negative. This entry was posted in News on May 11, 2013 by Xander. 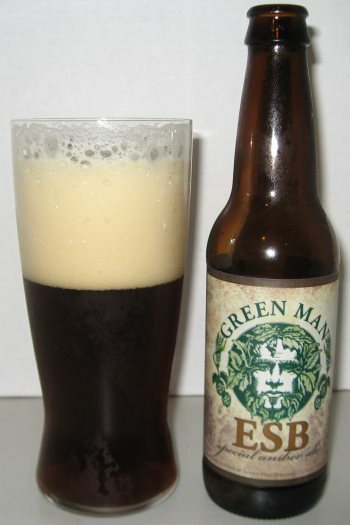 Green Man ESB is a lovely malty amber ale from the folks at Green Man Brewery in Asheville, NC. The nose is of toasty, nutty bread. 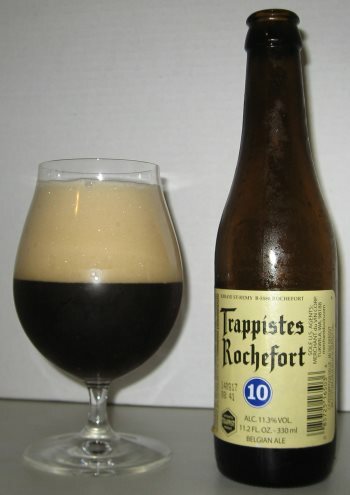 The middle is primarily roasted grain and coffee, so it’s still got a bit of the bitterness that I enjoy in a beer. The finish is mild with further hints of coffee and a bit of pepper. Throughout the flavor isn’t overpowering. It’s a tasty, but unexceptional. A good beer, not a great one. This entry was posted in Reviews on May 10, 2013 by Xander.